Getting ready to demolish your home and building something new in its place? You’re going to be needing some tips on how to prepare for the demolition! At 3D Demolition we have been working with Brisbane homeowners for many years and have picked up some of our most valuable tips to help you get ready for the big day. If you are considering a demolition, whether it’s a knock-down rebuild or if you are looking to demolish to sell your land as a vacant lot, we are here to help you. We take care of every aspect of the demolition process and make things smooth and hassle free. Want a quote? Call Daniel today on 0401 314 356. Ok, so you’re covered – now it’s time to begin the task of getting everything out of your property and get it into storage somewhere while you begin the task of demolishing and rebuilding. Pick a storage company where they offer an attractive longer-term rate, because it’s likely that you’re going to be keeping your goods tucked away for a few weeks to a couple of months at least while your new home is being built or you are moving to your new property. You’re going to be without a home for a short period of time, so make sure you have a place where you and your family can stay while your demolition takes place. Think about a long-term Airbnb, staying with friends or family, or even house sitting. There are plenty of affordable options which are available to you. A demolition is the perfect opportunity to do a massive purge of the things that have been cluttering up your life! Think about anything in the garage or shed that you just cannot be bothered to put into storage and anything valuable that you could sell to make some extra cash. Whitegoods, fixtures and fittings that you don’t want to reuse; these can all be sold or donated. You may want to reuse some of the existing materials in your home and put them in place in your new build, or even sell them. Pavers, skirting boards, doors, sinks and decorative works can all be put in place and made to look brand new again with a lick of paint. If you save a little here and a little there the savings can quickly add up. And when it comes to making improvements to your house a little can really go a long way. Are you looking for a quote on demolition for your home in Brisbane? 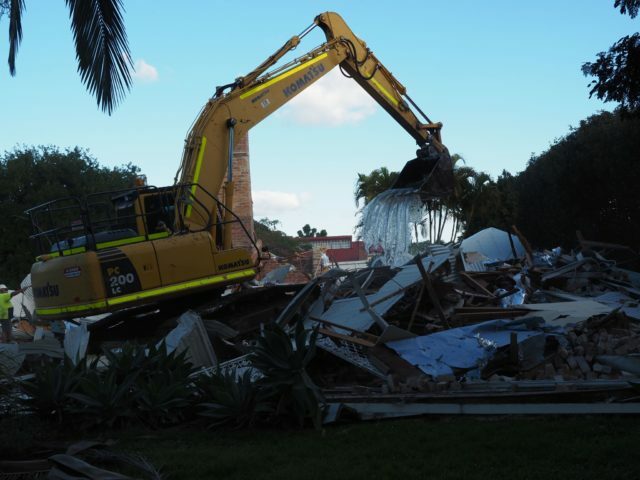 At 3D Demolition, we have worked with countless Brisbane homeowners and property developers to quickly and efficiently remove old structures through demolition. We can quote for you today and get started as quickly as you need us to. Call Daniel today on 0401 314 356.